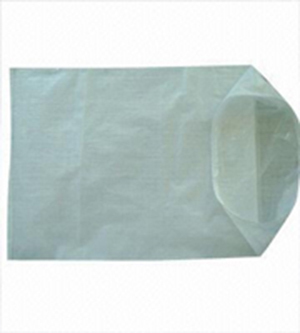 Muscat Polymers manufactures and offers a complete range of PP woven sack bags with liner; we have the PE liner producing plant in our modern state of art unit. Muscat Polymers exports about 50 Metric Tons of PP bags with liner every month. PP Woven sacks with liner are very ideal for the products that required the highest protection especially the fine grade, pulverous & force flowing materials such detergent powder, malt, chemical, fertilizer, sugar, flour and various other products. 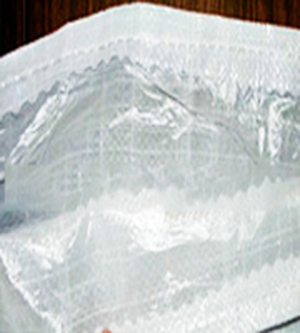 We are able to provide the LDPE liners with different microns and various sizes as per the customers requirement. The additional LDPE liner plays a vital role in protecting the products from any sort of leakage and pilferage. 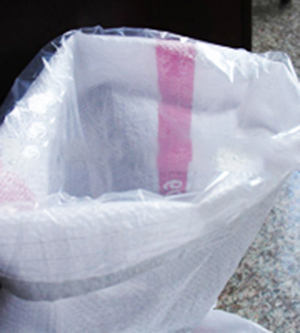 Muscat Polymers PP Woven sack with Liner provides all-together a complete protection by proving the highest degree of safety to the products. Liners could be loosely inserted into the PP bag to keep free or sewn into the bottom of the PP bag to ensure no moisture is entered or retained. Highest degree of protection for fine grade, pulverous & force flowing materials. Printing upto 6 colors on each side with corona treatment including printing on the side gusset.